In my meetings with stakeholders and professionals I have heard some comment that the Board never acknowledges good practices, and from others I have heard the concern that there is just a minimum standard of forestry being practiced in the woods. I think we can all agree we want our practices to be second to none, and that there is a standard, neither minimum nor maximum, that is expected to be met and exceeded where possible. The Board considered these comments and saw an opportunity to identify and share better, notable or innovative practices we see as a way of leveraging better performance through the identification of these practices for others to adopt. The Board prepared a 2016 calendar featuring some of the forest and range practices seen last year that, in the Board’s opinion, demonstrate better forest management. It was sent to many of our stakeholders and is available on the Board website. As well, in a 2015/16 audit of Western Forest Products Ltd., the Board reported two notable practices it had not seen before in audits, involving assessing terrain stability and tracking the condition and status of forest road bridges. I have never met a forest manager or professional who does not want to do the right thing. I encourage professionals and licensees to review the Board’s work, and where applicable share and adopt better, notable and innovative practices. It is a part of our stewardship responsibility. Remember our door is always open and we appreciate your feedback. Please have a safe and enjoyable summer in BC’s forests. For over a decade, the Board has been interested in encouraging stewardship of BC’s public forest resources. In 2014, the Board identified promotion of stewardship as one of its key strategic priorities. But what does the Board mean by stewardship and how do you recognize it so you can promote it? To foster public discussion of stewardship and to communicate the Board’s views on what constitutes stewardship behaviors, with respect to the Board’s mandate over forest and range practices, the Board published a bulletin this past February that describes its vision of stewardship for BC forest and range lands. The Board defines stewardship as: Ensuring responsible resource use today, while maintaining the health of the land for future generations. Planning is comprehensive and based on the best available information, while acknowledging future uncertainties. Planning that demonstrates stewardship is ongoing and charts a path for management and on the-ground practices over time. Planning and decision making are transparent and responsive to input from the public. To manage forests and rangelands effectively on behalf of the public requires engagement with other interests and a high level of transparency through the decision-making process. The public should have the opportunity to provide input and to feel that their input is heard and considered. Practices on the ground sustain ecological, economic and social values. On-the-ground forest and range practices that reflect stewardship demonstrate a clear understanding of landbase characteristics and the values present. Management incorporates monitoring and continuous learning and is adaptive to new information. Management should be based on up-to-date knowledge and adapted to reflect the evolving understanding of the interplay between the environment and use of natural resources. Managers demonstrate accountability for outcomes. Stewardship requires follow-through on programs and projects to ensure that they are properly implemented and that they achieve their desired outcomes. The Board encourages all parties involved in the management of BC’s forests and rangelands, including communities and the public, to consider and discuss the Board’s stewardship principles for the purpose of promoting a common understanding and goals for stewardship across the landscape. In its future work, the Board will point out examples of stewardship, evaluated against these principles, in order to foster discussion and to promote improved performance from licensees, managers, practitioners and users of BC’s forests, rangelands and resources. All the audits carried out in 2015 have been completed and published on the Board website. Overall, for 2015, the Board carried out 10 audits covering 12 forestry licences, 5 range tenures, 3 oil and gas tenures and 2 BC Timber Sales programs, including 24 timber sale licence holders. Of the 12 forestry licences assessed, 3 had no issue and of the 5 range licences, 3 also had no issues. Some of the issues found in these audits were non-compliance with the Forest and Range Practices Act and the Wildfire Act, while others involved activities that legally complied, but were not considered a sound forest practice and need to be improved in the future. Of the 24 issues found in the audits, one third involved failing to assess fire hazards following logging. The other common issues involved constructing and maintaining roads and bridges and reporting activities to government. All of the 2015 audit reports are available on the Board’s website. The 2016 field season is well underway with four audits completed and six more to come. 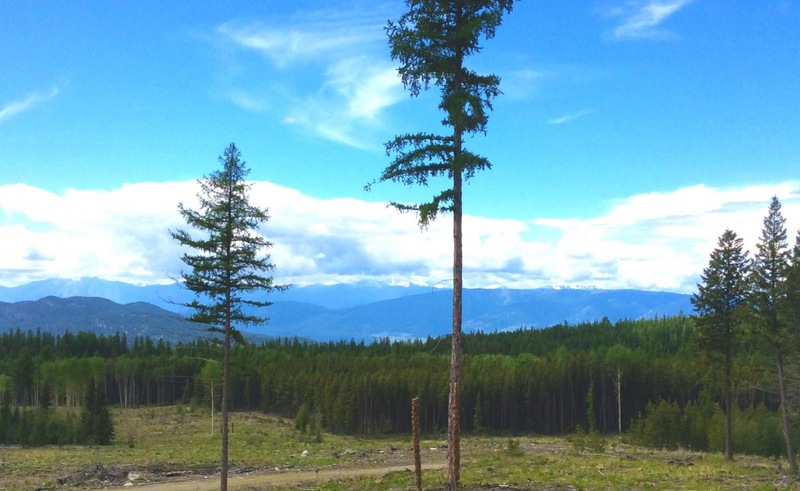 Auditors have been to the Squamish, Okanagan-Shuswap, Vanderhoof and Rocky Mountain Resource Districts to look at activities on a forest licence, a tree farm licence and two BC Timber Sales programs. It’s been a busy year for meeting with people interested in forest and range practices in BC. 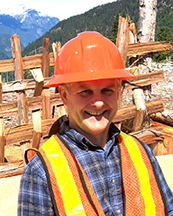 Since January, Board members and/or staff have attended 15 conferences and annual general meetings held by our stakeholders, including the Council of Forest Industries, the Association of BC Forest Professionals, the Outdoor Recreation Council, the Community Forests Association, the BC Cattlemen’s Association and the BC Wildlife Federation. Raising awareness of the Board among local governments has been a priority this year and the Board Chair has attended four regional government annual general meetings and met with four regional districts in different parts of the province, as well as a teleconference with the council members in Queen Charlotte City. Meetings with local governments will continue to be a priority this year and anyone interested in talking to the Board is invited to call us at 1-800-994-5899 to set up a meeting. Staff and the Board Chair have also given presentations or speeches at 13 events, on topics from what the Board does, to our report on forest stewardship plans, to stewardship of public forests. Board Chair Tim Ryan will be speaking and the Board will have a booth at the event. Board members and/or staff will be in attendance. Board staff will be in attendance. 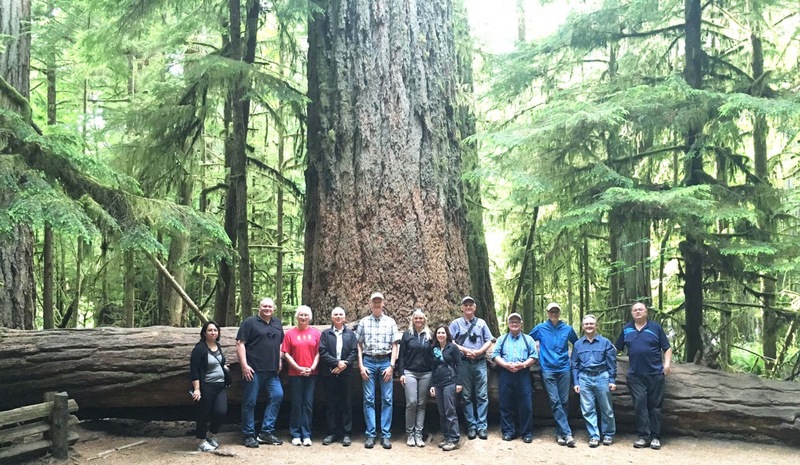 The Board held its June meeting in Port Alberni on Vancouver Island and took the opportunity to visit a number of stakeholders and forest operations. Board members looked at forestry activities on public and private land to learn about how licensees and land owners are exercising stewardship of forest resources. They met with the representatives from the Private Forest Landowners Association, the Managed Forest Council, the Vancouver Island University Woodlot, Island Timberlands, TimberWest, and the Huu-Ay-Aht First Nation to view forestry operations and hear about their issues, challenges and solutions. It was an excellent opportunity to learn more about private forest land management and how it compares to Crown forest land management. The groups discussed the challenges of meeting public expectations for water quality, scenic area conservation and recreational access to both public and private forest land. The following day the Mayor of Port Alberni and the FLNR District Manager came and spent some time with the Board discussing current challenges and issues they are dealing with. The Board thanks everyone who shared their time and their perspectives with the Board members. These visits to the field to talk with the people working on the ground and in communities are invaluable. We are especially grateful to the Huu-Ay-Aht people for welcoming us to their treaty lands and for spending time with us on National Aboriginal Day. This report looked at the content of forest stewardship plans to see if they met legal requirements and if they were consistent with government objectives and useful for the purpose of public review and comment. As a result of the investigation, the Board made several recommendations to improve future forest stewardship plans, many of which are expiring over the next year. In response to the report, government committed to a number of actions to improve the next round of forest stewardship plans. Both the Minister and the chief forester issued guidance to government staff with respect to handling expiring FSPs and ensuring the public and interested groups have the opportunity to review and comment on these FSPs at least once every five years. Many FLNR district managers are in the process of issuing expectation letters to licensees, which will guide the content of these upcoming plans. Government developed FSP workshops for those who prepare, review and approve FSPs and has started delivered this training in the Spring of 2016. The Ministry of Forests, Lands and Natural Resource Operations is also working to develop technology-based solutions for information sharing on roads and cutblocks. Overall, the Board is pleased with the response to this report and looks forward to seeing improvement in future forest stewardship plans. This investigation report addressed a complaint about planned logging of old forest on Sonora Island. In its report, the Board made several recommendations to government and to TimberWest to improve the management of red and blue listed plant communities and old forest in the southern portion of the Great Bear Rainforest (GBR). In February, government responded to the Board by letter and also had key ministry staff provide a briefing to Board staff. Government said the Board’s recommendations will be addressed in the GBR Land Use Order and supporting documents that are under development. The full extent of how the recommendations are addressed will become apparent when those documents are completed. TimberWest responded to the Board by providing interim criteria it will use to identify red- and blue-listed plant communities and old forest. In the longer term, TimberWest will develop a field manual to assist with implementation of the GBR land use order once it is enacted. The Board is pleased with the responses of government and TimberWest and will monitor the implementation of the GBR land use order to see how its recommendations are carried through to forest practices on in the southern part of the GBR. Both of the responses are posted on the Board’s website. In 2008, the Board published the findings of a complaint investigation in a report titled Biodiversity in the interior cedar hemlock forests near Dome Creek. Several public groups had filed a complaint about the management of biodiversity in the interior cedar-hemlock rainforest near Prince George, and forest management adjacent to the Driscoll Ridge and Ancient Forest hiking trails. The complainants asserted that approved cutblocks and harvesting practices did not address government’s biodiversity objectives. The Board made six recommendations to government, including placing a logging moratorium on the area using Part 13 of the Forest Act; legally establishing the recreational trails; establishing objectives for the trails; and spatially establishing old growth management areas. For several years the Board went back and forth with government on its response to the recommendations, which were not being implemented. 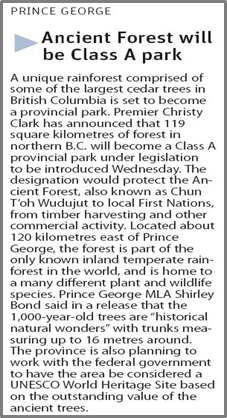 Then, in 2016, Premier Christy Clark announced that 119 square-kilometres of this significant forest in northern B.C. will become a class A provincial park. The province is also planning to work with the federal government to have the area considered for a UNESCO World Heritage Site based on the outstanding value of the ancient trees. This decision effectively addresses all of the Board’s recommendations. Clay Perry, one of the founding members of the Board, passed away last September. Clay spent much of his career working with the International Woodworkers Association and he brought his concern for forest workers to the Board table. His contribution to the establishment of the Board and its continued success was significant and we extend our condolences to his many friends and his family. 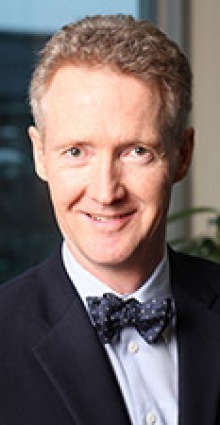 Dr. Geoff Battersby has been named a Member of the Order of Canada. Governor General David Johnson announced the newest appointees to the Order of Canada on June 30, 2016 at Rideau Hall in Ottawa. 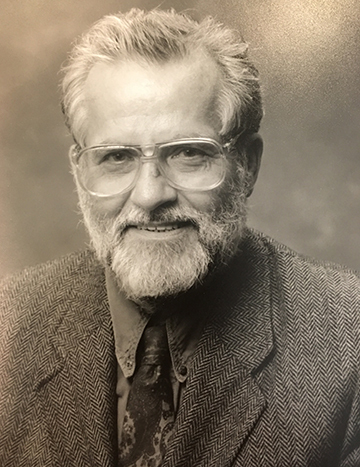 A former Mayor of Revelstoke and a founder of the Revelstoke Community Forest, Dr. Battersby served as Vice-Chair of the Forest Practices Board from 2004-2008. Congratulations on a much deserved honour!